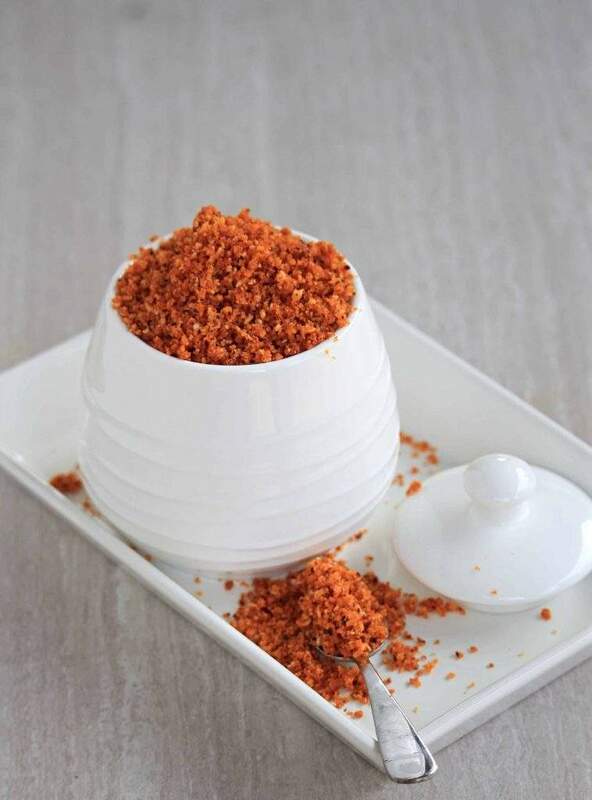 Dry Garlic Chutney Powder is the perfect spice powder that you need to keep in hand if you are a garlic lover. A little sprinkle on any dish and it absolutely jazzes the flavor of the dish. 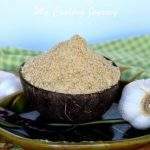 Dry Garlic Chutney Powder is a recipe you need to try if you are fan of garlic. 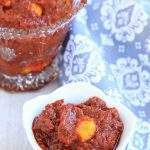 My boys love garlic and when I saw the recipe on Jayashree’s space, I could not wait to try it. I am a part of a Facebook group called the Food Blogger Recipe Swap, where we are paired with other food bloggers and get to recreate their recipe. This helps us learn new recipes from bloggers in the different part of the world and also help make some friends. This group has been taken over by my dear friend and fellow blogger Mireille. 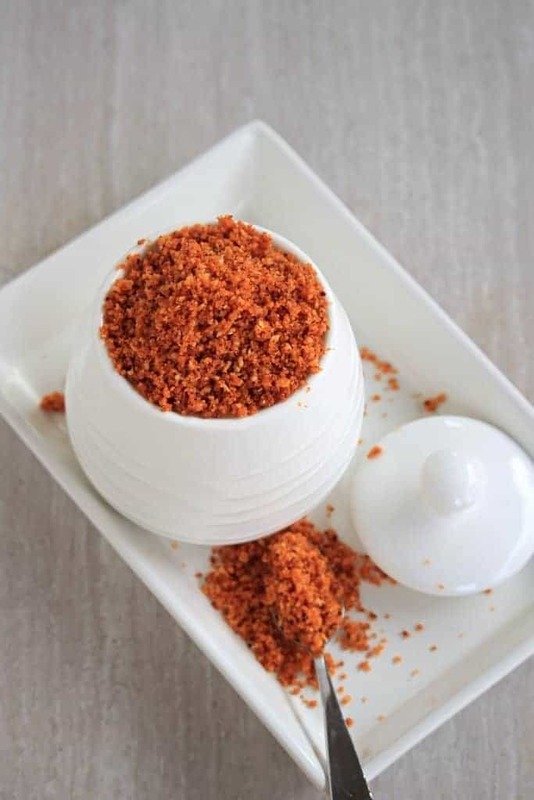 This month I am paired with Jayashree Trao, who blogs at Evergreen Dishes, and I am really excited to find this delicious chutney powder from her space. 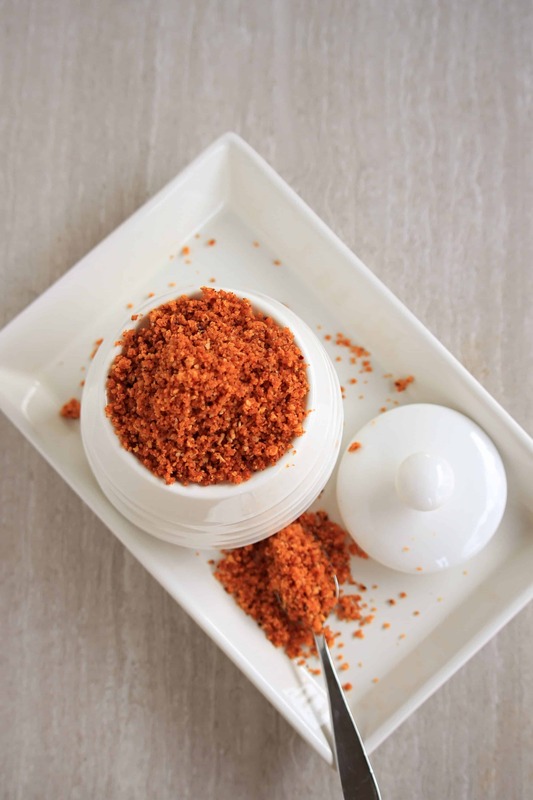 This Dry Garlic Chutney Powder can be used as a condiment with literally anything. It is a popular condiment used in the Mumbai famous Vada Pao. 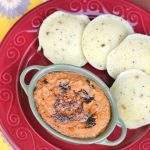 Once I made the Dry Garlic Chutney Powder and tasted it, I realized that I could eat it with anything. As soon as the boys came back from school, I gave them some yogurt rice with this Dry Garlic Chutney Powder sprinkled on top and they absolutely loved it. I can’t wait to make some crispy dosai / crepe and layer it with some of this spicy Dry Garlic Chutney Powder. 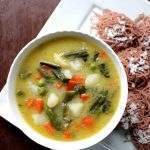 The recipe is very simple and uses just the basic ingredients. 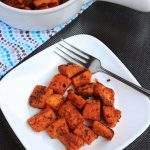 I used whole red chilies instead of chili powder and also used some sesame seeds that Jayashree did not use in her recipe. Apart from that, we need some fresh garlic and desiccated coconut. It takes just about 10 minutes to roast all the ingredients and grind them. Clean the garlic and remove the skin. Heat 1 tsp of oil in a pan and roast the garlic until it is light brown. Remove it in a bowl and keep it aside. In the same pan, heat 1/2 tsp of oil and fry the red chilies. Remove it on the same bowl as garlic. Next fry the sesame seeds until it light brown. Place it in the same bowl as the rest of the ingredients. Now add the remaining 1/2 tsp of oil and fry the desiccated coconut until it is light brown. Make sure you roast the coconut in low flame as it can burn very quickly. Place it with the rest of the ingredients. At the end fry the salt for just a minute. My mother always did this when she grinds dry powders as it increases the shelf life. Let all the ingredients cool down to room temperature and then grind it into a coarse powder. Don’t grind it in one swing as the coconut and sesame will let out too much oil and become like a paste. Pulse the mixer in regular intervals. 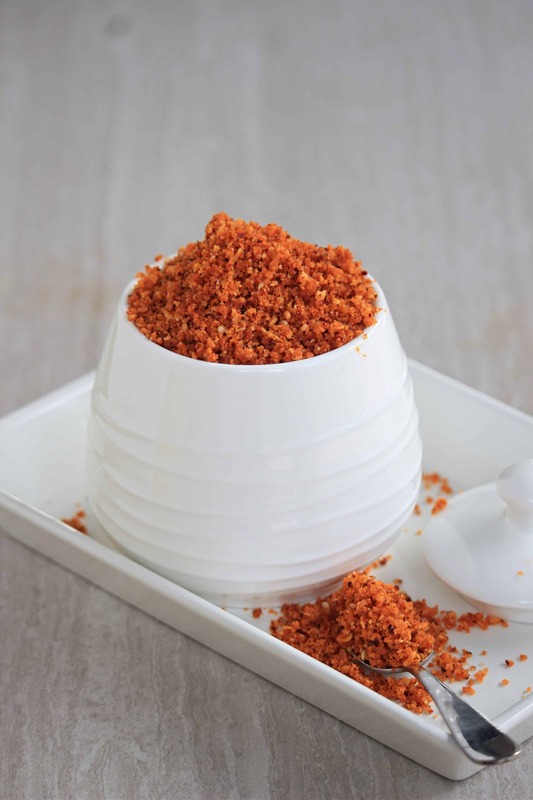 Store the powder in an airtight container and use it as a condiment with chaat items. Let all the ingredients cool down to room temperature and then grind it into a coarse powder. Don't grind it in one swing as the coconut and sesame will let out too much oil and become like a paste. Pulse the mixer in regular intervals. Ali- Blueberry, Cardamom, Lemon Muffins. 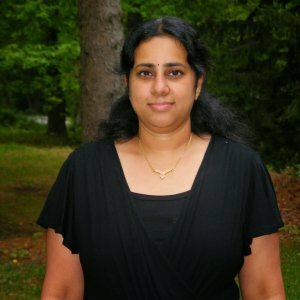 I love dry garlic powder with just about anything – rice, rotis, idli, dosa, you name it! 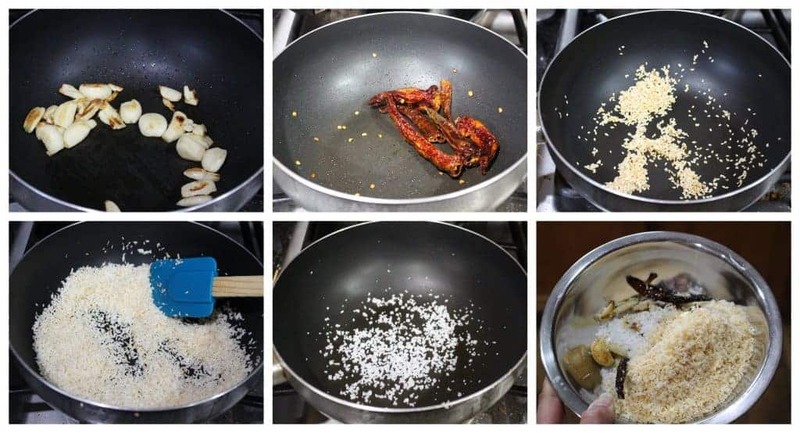 I’m glad I now have a foolproof way of making my favourite dry garlic podi at home. I used to always buy it ready. though our recent travals in India I had the oppurtunity to taste this and it was simply amazing. 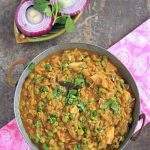 Thankyou for this wonderful recipe, I will love to try this for the garlic lovers in my family. This looks so good! I have to admit, I think I’d use this to flavor popcorn. I’d probably use it to spice up soups or salads, too. Looking forward to trying this out! This sounds like a lovely spice mix to have in your pantry I can see it as a nice sprinkle for salads, raita and even on rice. Lovely photos, I love your jar. What a beautiful vibrant chutney, simply love this. 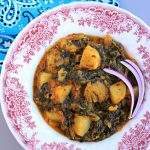 Really like your step by step pictures of this recipe. Wow! sandhya such an amazing picture. I think I will try making it even though I have loads of chutney powders just looking at your pics. I’ll be traveling quite bit this year ad know I’ll not get veggie food to my liking in a few places. This is the right chutney powder that I should carry with me. This flavorful powder can be added to rice, sprinkled on roti or bread and I’m good to go. Love the addition of sesame seeds Sandhya. 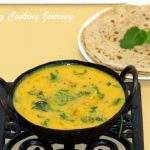 I too make similar versions of this chutney and it really goes well with many dishes. Beautiful and tempting clicks, I would just like to take some and put it on a bread slice and enjoy. Thankyou Sandhya for trying this one from my blog. I am glad your sons liked it. This was the one condiment my son would need a few years back. i have never heard of this before but am totally intrigued. I have all the ingredients in my pantry and totally want to make it. the flavors sound delicious! Danielle, thanks a lot! You would love it. It just jazzes up the flavor of any recipe you use it with. 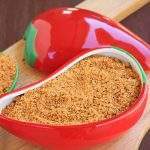 That is such a flavorful and delicious looking podi Sandhya. We love garlic in our home and this would be a nice spice powder to have around. I love garlic because it can make every dish special! Garlic adds so much flavor and I always try to use it when I can. And because I love using powder, this recipe is perfect for me – thank you! My husband is such a huge fan of garlic. I on other hand have problem with it… it’s bad for my tummy. But that doesn’t mean I can’t make him this delicious spice powder. I bet it taste amazing and that he will be delighted. 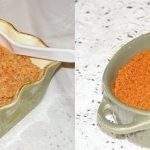 I love this dry garlic chutney powder great with dosa or idly or even we can have them with pav bhaji.yum.